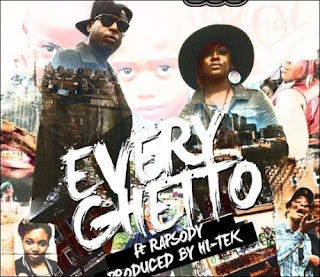 Yesterday Talib Kweli dropped some visuals to his Rapsody assisted track Every Ghetto. The track once again pairs Talib with his Reflection Eternal producer, Hi-Tek. The album is called Indie 500 and will drop next month. The title track is also the name of the collective of three independent labels: Talib Kweli's Javotti Media, 9th Wonder's Jamla Records and Pharoahe Monch's W.A.R. Media. All three camps are known for underground, independent and conscience music. This umbrella extends to other like minded emcees, similar to the Native Tongues movement of the late 80s/early 90s. The Native Tongues incorporated many crews but started with the foundation of the Jungles Brothers, De La Soul and A Tribe Called Quest. In many ways Indie 500 wants to recreate the positive message from the Native Tongues movement. We at BITM try to stay away from the hip pop news that engulfs the internet. We prefer to report/promote hip hop that we actually appreciate. On paper Indie 500 has everything in place to make a strong impact on the watered down hip hop landscape. Financially it might not do as well as a Drake/Future (right? or 2 Chainz?) album, but that has never been a real barometer for hip hop heads. So here's hoping for the start of a visible shift in the culture and music. Peep music video for Every Ghetto below, as well as an interview with 9th, Talib and Monch.